This California Family Room is earthy and approachable – perfect for a busy family! 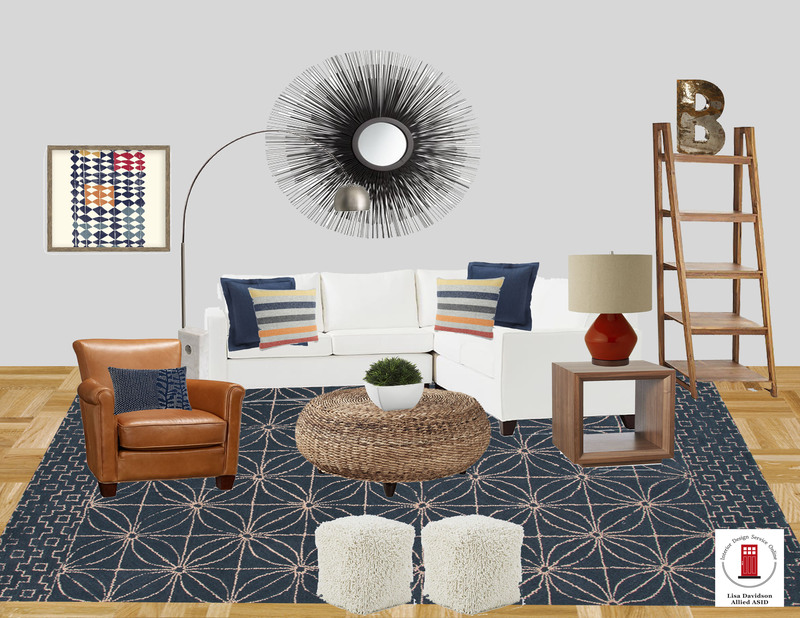 We used lots of earthy neutrals fabrics with accents of indigo, all mixed with warm wood tones. More project boards to follow. Please check my blog http://www.interiordesignserviceonline.com/blog/ often for other design inspiration.